There are no presenters, no timers and no name badges- it’s all about one conversation. 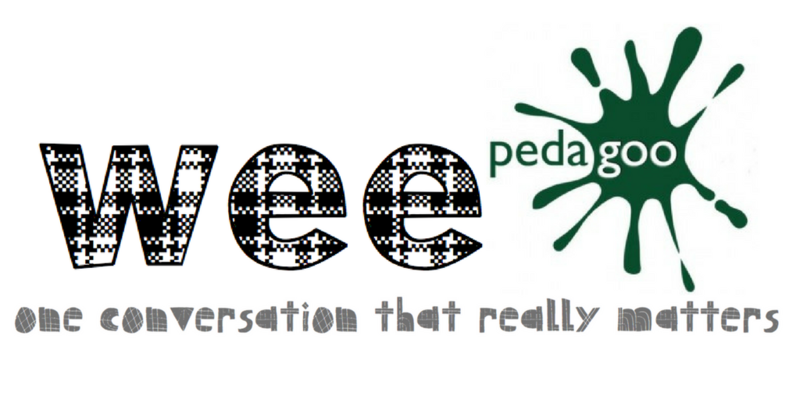 You can hold a Wee Pedagoo in your staffroom, in the pub after work, in your favourite coffee shop or down the local park- anywhere that teachers from within and beyond your school can get together and talk! You can also use our cool downloadable logo to share your event and keep the conversation going and don’t forget to tweet us @pedagoo so we can help promote your event.